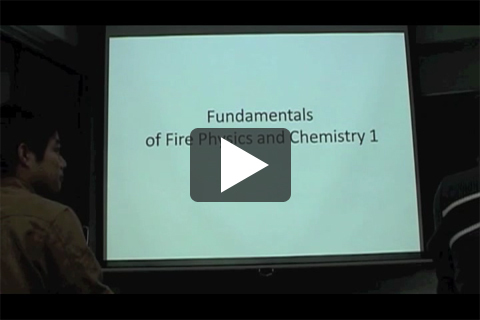 Learn basic knowledge in fire chemistry and physics useful for all practioners in fire, e.g. firefighter, building construction designer, building material manufacture and protection equipment manufacture. 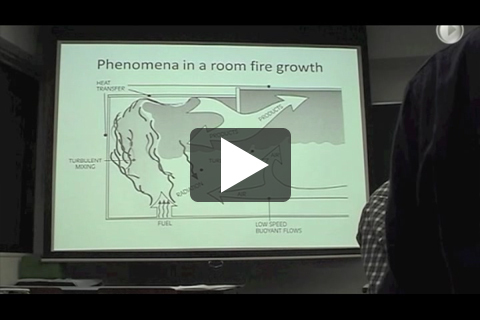 Formulas are presented only when it is needed to understand the quantitative aspect of fire. Learn the English language specific to fire science and become able to communicate with foreign counterparts in a business community. Rusting of iron, or combustion in an engine, is fire? Autoignition requires a pilot flame. An oxyacetylene torch is a diffusion flame. A burning pool of gasoline is a diffusion flame. Charring is not likely during smoldering. Smoldering can occur in concealed spaces. A flame must be 3 m high to be turbulent.